Bibliography: Bartsch 260; H. 47; Münz 41; BB. 31-E; (White and Boon?) on this state as having light burnishing on bust, plate cut down to remove date, face reworked. 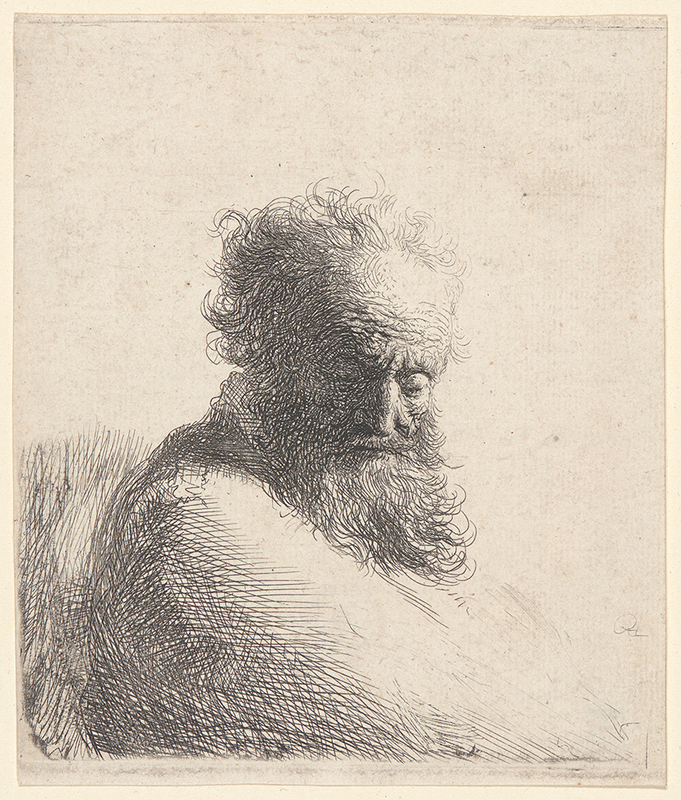 Bust of an Old Bearded Man, Looking Down, Three-Quarters Right, . Etching on cream laid paper. Third state. Plate: 120 x 104 mm (4.7 x 4.1 in.). DAC accession number 1947.D1.211. Gift of George W. Davison (B.A. Wesleyan 1892), 1947. Open Access Image from the Davison Art Center, Wesleyan University (photo: R. Lee). http://dac-collection.wesleyan.edu/obj12025 is a persistent link to this page with no user-session information.